The very first thing I did as soon as I got my foundation licence was to acquire a cheap hand held, I bought my self a copy of The Rig Guide from the RSGB to see what I should be paying and searched Ebay and found a second hand Yaesu VX-2e. it was good enough to get on the air without too much in the way of antenna’s etc. Although the Yaesu VX-2e only has a 1W output on 70cm and 1.5W on 2m on the internal battery it was sufficient to get me onto to the local 70cm repeater GB3CR without too much of a problem. After this initial contact I wanted more so after a bit of research with my colleague Ian M0ODD, we both decided to go for an all rounder and made our minds up to go for the Yaesu FT-817ND. Luck was on my side I found an immaculate FT-817ND with the BHI NEDSP 1061 board fitted on Ebay and when it arrived I opened it up to find it was also fitted with a collins SSB filter. The next weekend Ian and I went up to Norbreck Castle Exhibition Centre, Blackpool for the next available amateur rally and spent a small fortune on new gear. Ian managed to get his Yaesu FT-817ND at the rally and we both bought the following items. And an assortment antenna parts to experiment with in the coming weeks. I have now got my Watson W-2000 installed and I find it is great at my QTH for 2m/70cm but at this time it is still needs to be raised a bit higher. I also managed to get an end-fed long wire across the garden at about 12ft high into a 9:1 balun and in turn into my Z-817 auto tuner. I have managed some QRP Hf contacts on 20m into Bulgaria, Ukraine & Italy so I am quite pleased with that I just want to extend the long wire around my garden a bit more.... but that will have to wait until I can pack the wife off somewhere for a day or two.. I know the Yaesu FT-817ND is a portable rig, but I was getting frustrated by having to disconnect everything each morning to put it in the car before leaving for work. So I got the Rig Guide out again and decided on getting myself a Yaesu FT-7800E Dual Band 2m/70cm. 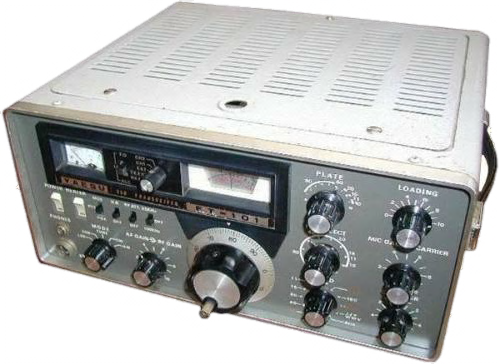 I had decided to finance this purchase with the proceeds of the sale of some of the receivers I have mentioned in my other pages, the Pro-2045, DX 394 provided sufficient funds to buy the FT-7800E again off Ebay again this was an immaculate radio. the guy I bought it off even delivered it to work the next day at Runcorn for me. I then moved up to a Yaesu FT-857D, which gives me a better power output, I used my full foundation licence allocation of 10 watts from my home QTH. I swapped my FT817ND for it as well as the Z817 tuner, the FT-857D came with an AT-200Pro Autotuner by LDG. Following the great tradition of the radio amateur ethos, John Bellis 2W0OSG has kindly donated one of his Yaesu FT-101 transceivers to me. I managed to get hold of an Yaesu FT-102 which is in a nice condition, these are what I consider to be a real radios, in that you do not have a menu driven set up and you have to learn how to use it, the audio output on this radio is superb. 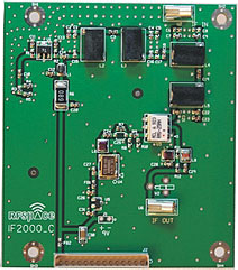 I was able to give the TX side of this a bit of use after I successfully acquired my intermediate licence at 50W. Unfortunately I had to let this radio go to make room in the shack for a new acquisition. I went to the NARSA rally at Blackpool again this year andPicked up a Wouxun KG-UVD1P Dual band hand held. I wanted something with a little more punch then the VX2R that I already have and for the price of £89 it was a bargain. The programming of the unit is best done with the aid of a computer otherwise you will have to try and work out what is going on from the manual, which is a little difficult to understand. I think it is a nice package and will be great fun when out and about during the summer. Now to my latest HF/50MHz Transceiver the Yaesu FT-950. The FT-950 has now taken over as my main shack radio from the FT-857D. I love this rig, it will take me a while learning how to use all of it’s features but I am absolutely made up with its performance and I am just looking forward to spending some time figuring out all the bells and whistles on it. I have added a few extras to the FT-950 to enhance it. It now has an RFSpace IF-2000 interface board and a Yaesu DVS-6 Voice module installed. 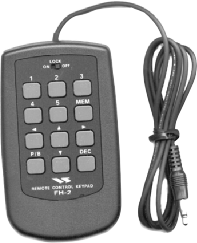 I also have a FH-2 remote keyboard to finalise the modifications. The latest addition to my ever growing collection of transceivers is the Yaesu ftm-400de which my xyl bought me for Christmas this year. 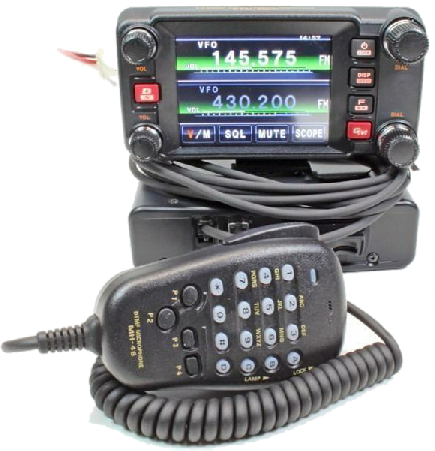 I have been hankering after an APRS capable rig for some time & this one really took my fancy. 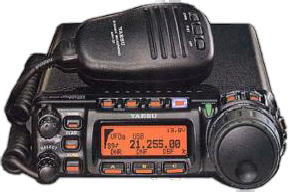 The ftm-400de is also one of the latest “Fusion” C4FM digital radios from Yaesu, luckily we have a Fusion repeater being GB3MN over in Stockport so I think I will get some use out of it on my travels to work in Runcorn. I bought the RT systems ADMS-M400 programming kit for it, it really make life easy when setting up the frequencies I want and the radio options. I cant wait to get out on the road with this radio and see what the new world of APRS opens up for me.